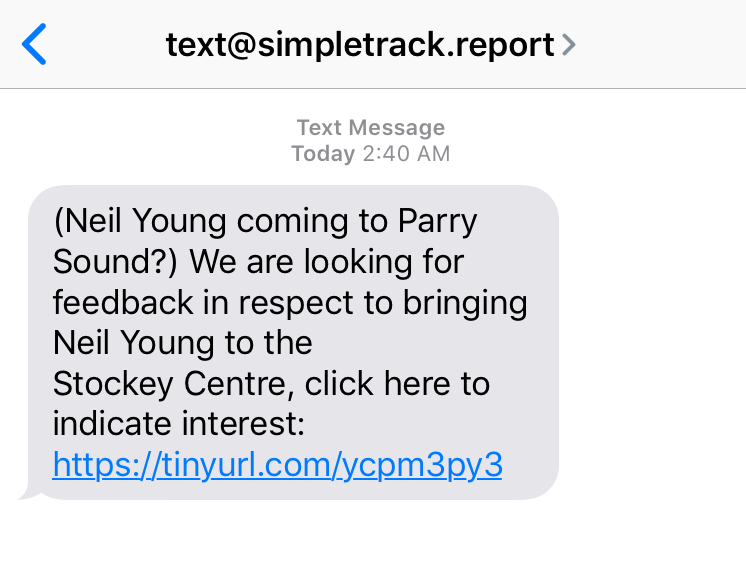 IMPORTANT NOTICE: We are aware of a text scam that is being sent to cell phone numbers in the Parry Sound area referencing the Stockey Centre’s intention of bringing Neil Young to our stage. THIS TEXT IS NOT FROM THE STOCKEY CENTRE, DO NOT CLICK THE LINK. The source is currently being investigated.